THE Confederation of Zimbabwe Industries (CZI) has proposed radical measures to mop up excess liquidity on the electronic Real Time Gross Settlement (RTGS) platform, while calling for more bond notes to restore transactional convenience for the public. The country’s largest business organisation contends that it is the RTGS platform, more than the much-maligned bond note parallel currency, that is fuelling market distortions and price instability. Zimbabwe introduced bond notes in November 2016 in a desperate bid to ease the shortage of bank notes, but $200 million worth of the parallel currency failed to solve the crisis. In the meantime, RTGS balances have grown from between 10-15 percent of total deposits in 2014 to about 30 percent, currently. 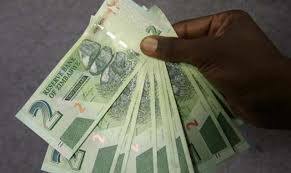 The CZI plan, presented to President Emmerson Mnangagwa on December 11, seeks to proffer solutions to the bank note crisis, price instability and foreign currency shortages. Zimbabwe has, since the end of 2015, experienced a foreign currency crisis, reflected in part by the shortage of bank notes in an economy which informally dollarised in 2009 after hyperinflation destroyed the country’s currency. Lately, inflation has quickened, moving from -0,65 percent in January to 2,94 percent in November, according to official statistics. Independent estimates put the figure significantly higher. Analysts blame government for the resurgent inflation, which they say is largely driven by unrestrained borrowing. Government has issued billions of dollars worth of Treasury Bills to fund its budget deficits, releasing a deluge of virtual money into the banking system. A key measure of the CZI proposal, is a sterilisation plan meant to mop up excess liquidity and impose a cap on RTGS funds. “One option that we might consider is a pre-announced programme of ‘quantitative squeezing’,” CZI wrote in a paper titled Short Term Stabilisation-Basket of Policy Options. As part of the plan, government borrowing for deficit financing would be strictly on an open market basis, with banks and other players with excess funds participating freely. Government would also stop borrowing from the Reserve Bank of Zimbabwe. On its part, the central bank would complement the sterilisation process using monetary tools such as statutory reserve requirements or liquidity ratios to manage excess liquidity. “What the sterilisation programme outlined above achieves is a de facto cap on overall money supply. The benefit of a cap cannot be overstated. This becomes the source of market confidence. While there has been growth on RTGS, the real value of the RTGS has gone down significantly. While the value of the bond has declined, it has not declined at the rate of decline of the value of the RTGS because the bond has been capped,” CZI said. “So what we are recommending specifically is that the cap on bond is replaced by a cap on RTGS PLUS bond and that enough bond is then released to meet the cash requirements in the economy. This solves the problem of the shortage of cash as a medium of exchange in the economy,” CZI added.